Suzuki will again take over the Copse A grandstand at Silverstone’s ultra-fast turn one for the 2018 British Grand Prix in August, allowing fans to get a first class view of the racing and support the team in action. 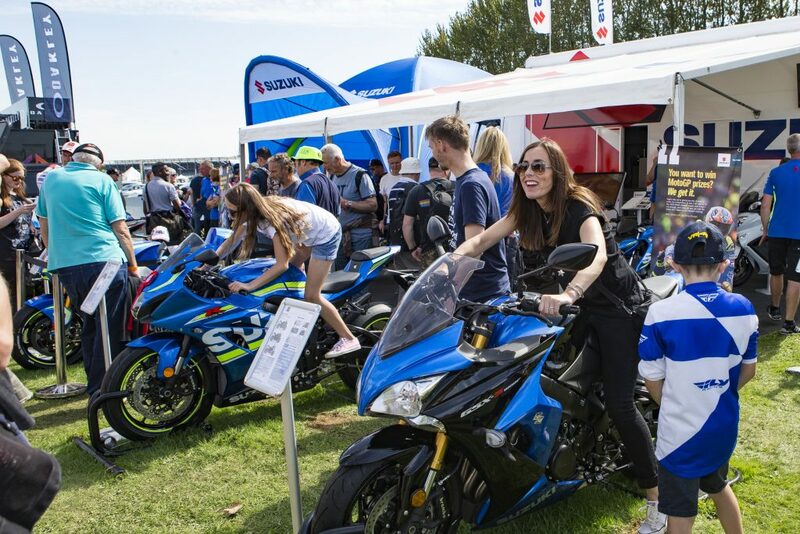 The Japanese brand will also showcase its on-road model range in the manufacturer’s village, host rider meet-and-greet sessions, and allow new riders to get a flavour for two wheels with test rides and taster sessions on its GSX-R and GSX-S125 machines. 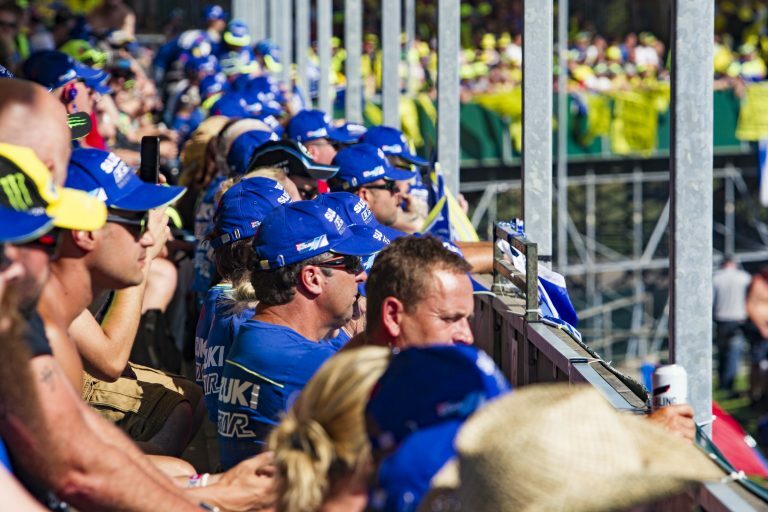 Suzuki has taken over the grandstand for the last four years, turning it into a sea of blue as fans sport t-shirts and wave flags included in a gift bag that comes with every ticket. 2018 will be no different, with goody bags again including a special, event-specific t-shirt and flag. 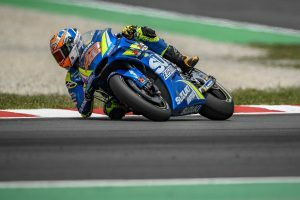 However, away from the racing, Suzuki will display its on-road model range, including the GSX-R1000R – which boasts technology taken directly from the firm’s GSX-RR MotoGP racer including a variable valve timing system and suite of electronics – GSX-S1000, V-Strom 1000XT, and the new-for-2018 SV650X. Suzuki will also display the new GSX-R125 and GSX-S125. The two machines claim the best power-to-weight ratios in their respective classes, and will be available to test ride over the course of the weekend. Test rides will be open to those already possessing a motorcycle licence, but also those looking to take their first steps into motorcycling. Taking place in a controlled environment, the taster sessions are open to anyone over the age of 16, and riding kit will be provided. 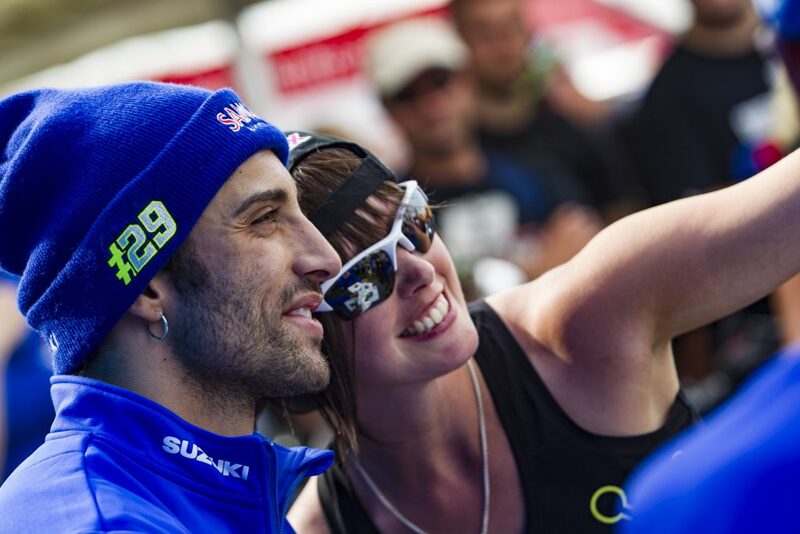 Current Team Suzuki riders Alex Rins and Andrea Iannone will also stop by the stand throughout the weekend to meet fans and sign autographs. The 2018 British Grand Prix takes place at Silverstone on 24-26 August. 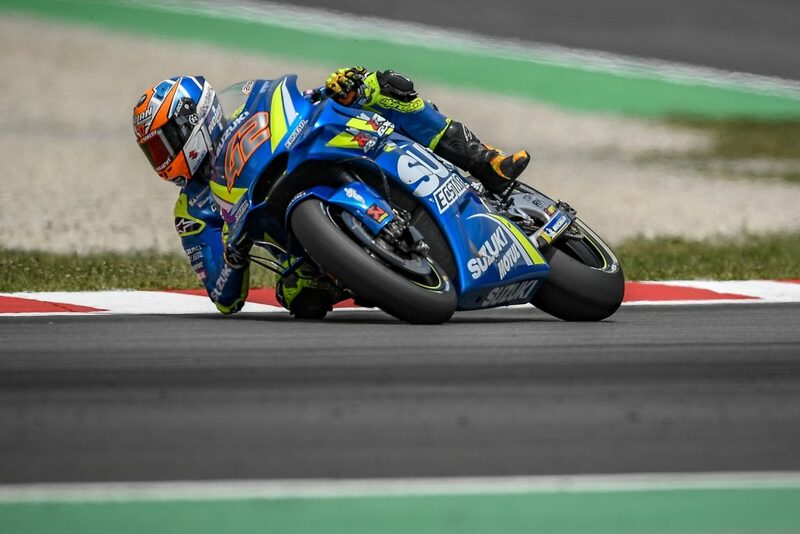 Tickets for Suzuki’s grandstand can be purchased here. Select Fanstands, and select Copse A.